William Wood, from Oquawka, Illinois, accepted Jesus Christ as his Savior in 1991 after a life filled with alcohol, drugs and hopelessness. From 1992 – 1997 William participated with Josh McDowell Ministries on nine 2-week missions trips to Russia. He also worked with Dr. Bill Becknell of Agape Medical Center, Manchester, KY, in Russia for 4 years. William returned to Russia January 1, 2003, on his own. He set up his main base in the settlement of Don which is in northern Russia. After nearly 5 years the village of Don has a church (William’s house) that is severely over-crowded. Footings have been dug to add a meeting room onto the church-house. Names of newborn Christians abound in the village of Don and nearby. The mission team has used medicine, food, clothing, playground equipment, building materials, and countless acts of service to both meet the needs of the local population and also to spread the good news of the saving grace of Jesus Christ. Andre and Simeon are part of the mission team with William. Andre baptized 6 new believers recently as the church in Don continues to grow. William lives off a small pension from Case, so all ministry support is used to help the Russian people. With the team, he reached out to the poor, elderly, invalid, orphaned, widowed, and imprisoned with the basic needs of life and the Good News of Jesus. One requirement they have is that whoever receives their help must also listen to the gospel message. That means the mission team spends a lot of time sharing the Gospel! 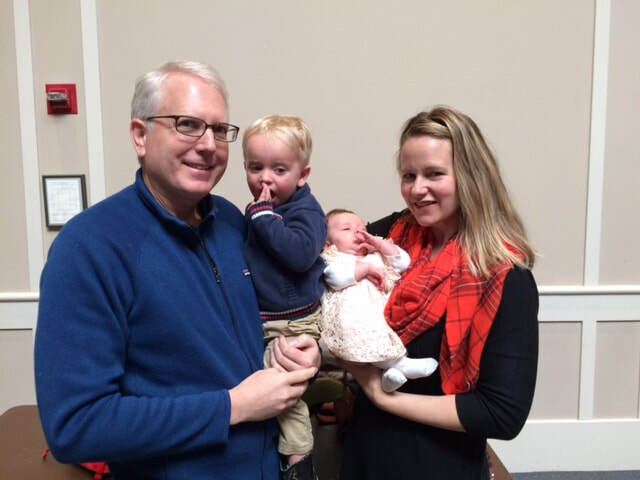 In March of 2015 William contracted meningitis and was hospitalized in a comatose condition, unable to continue personally with this ministry. He makes very slow, incremental improvements under the care of a woman named Maria, who stated that she will care for William until he no longer needs her. The board of William Wood Missions to Russia is resolved to move forward with the mission in Russia. Andre and Simeon continue the ministry in Don and surrounding villages. Adrienne is originally from Monmouth, Illinois, and attended the University of Iowa with a B. A. Degree in Communication studies. She joined staff with the campus ministry of Campus Crusade for Christ in 2000, and has worked at the University of Minnesota and the University of Iowa. Adrienne spent five years living in Turkey and Central Asia before she and Brad met and were married. Brad, originally from Arcadia, CA (a suburb of Los Angeles), joined Athletes in Action (AIA), a ministry of Campus Crusade for Christ, after graduation with a master’s degree in sports medicine in 1995. Brad’s lifetime passion has been cycling, and he has been able to use his athletic training background as an official medical volunteer at the Olympic games and on world ministry tours. Brad’s twenty years in ministry have taken him form Beijing to Kenya and everywhere in between. He spent eight years living abroad in Kandern, Germany, where he was based as a regional director with AIA. Adrienne and Brad married in 2013 and have lived in the Boulder, CO, area since then. They have a son, Herschel, born in 2015, and a girl, Bridgit, born in January 2017. They continue to minister to elite athletes and international students while being based in Boulder, CO.
Camp Summit is part of the urban ministry called Christian Friendliness (CF). Established in 1936, CF is a parachurch ministry whose purpose is to bring hope to low-income kids, teens and their families. As a holistic ministry, we offer food, tutoring, employment training, recreation, Bible studies, and camp experience at Camp Summit. 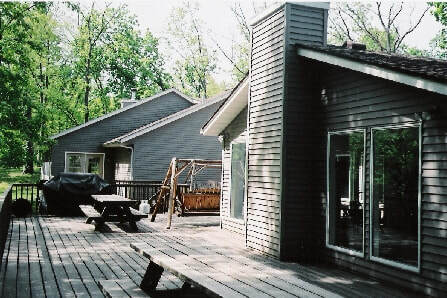 Camp Summit opened in 2001 as part of our ministry to low-income families. Urban kids have an alarming deficit of experiences outside their neighborhoods and housing complexes. Experiences at Camp Summit are vital to their development and pursuit of God through retreats, cookouts or even a whole week of camp. These children are forever changed by the experience camp offers them. Campers can find challenges to help them grow and reach the next level of personal and spiritual understanding. Click here to visit their website. Alex is originally from Aledo and his wife, Jess, is originally from Metamora. They are both graduates of the University of Illinois with degrees in Business Administration, and Human Development and Family Studies, respectively. Upon graduation in 2009, they both had a heart to bring Christ to the college campus and decided to join staff with Cru. They have been on staff for 8 years now at the University of Illinois. The vision of Cru reads "movements everywhere so that everyone knows someone who truly follows Jesus." This keeps them going on a daily basis. They want college students to know people that are truly walking with Jesus so that they might see what it looks like to follow Him. The stark reality is that the college campus is often a dark place in desperate need of God. It’s a place where things like alcohol, future success, and relative truth are often worshiped and prioritized over worship of God. Alex and Jess desire to impact the lives of college students in a way that, wherever the Lord sends them post-college, they would "go" and make the name of Jesus known, rather than their own name being made known. They love getting to be a part of what God is doing to transform the college campus for His glory, and are also a part of taking students to bring Christ to our two partnership locations: Croatia and East Asia. Their hope for the future is to see God change college campuses nationally and internationally as places, not of darkness, but of light. Sherri Paulson was raised on a dairy farm in north central Wisconsin. She had always had the dream of serving as a missionary. A door opened for her to go on a short-term trip to Ghana, West Africa, to be a nanny for two missionary families. She discovered that she didn't have to be a pastor, or builder, or an evangelist to go to a foreign country to minister; she only had to follow the direction of the Holy Spirit, and be obedient. Surrendering her entire life into the hands of Jesus Christ, she trusted Him to direct her steps. Moving to Chicago after college graduation, Sherri became more involved with young people, discipling many and leading Bible studies. She was made aware of the need in Ghana for mission workers who had experience with youth and administrative skills. 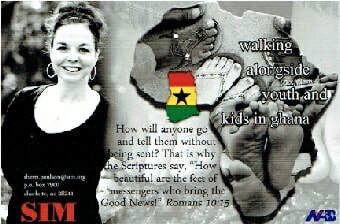 Sherri began ministering in Ghana in 2005, partnering with a SIM (Serving In Missions) related church. After home leave, Sherri returned to Ghana on July 14, 2016, and moved on to Tamale. She is part of SIM Tamale team: Damary, her roomie, DooShik and GaeOk from Korea, her leaders, and Yvonne who is from England (and Sherri). Sherri and Damary moved into a new house (5 bedrooms) November 12, 2016, so there is plenty of room for guests and visiting missionaries. (Hint.) As with many houses in this area, houses are fenced in with gates and grates on windows for security. Sherri's challenge is learning the Dagbani language. Her language helper is Hannah. Sherri enjoys visiting other villages, talking with people and shopping for supplies. Everything is so colorful! 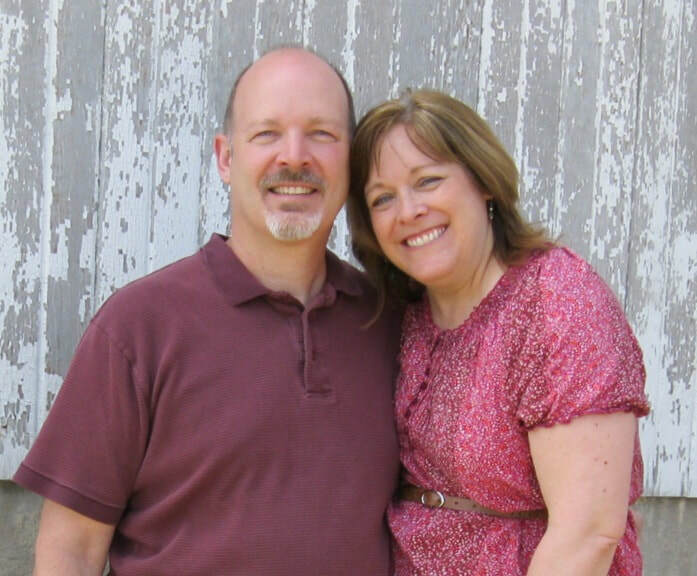 Stewart and Patti grew up in west central Illinois, choosing Christ as early teenagers. During college years at Western Illinois University, they grew spiritually, and, after graduating, married on July 3, 1983. They first arrived in Hungary as participants in a 1986 Campus Crusade evangelistic outreach project. In ‘99 they went back as team leaders of a short term ministry from their home church in Columbia, Missouri. They began in Budapest, Hungary, in August 2003, serving in the ministry center to multiply healthy churches in Budapest and throughout Hungary. In 2008 they transferred over to the SERVEurope Team also located in Budapest. This team serves the ReachGlobal missionaries in Europe. In 2014 Stewart joined the Europe Division Leadership Team in addition to leading the SERVEurope Resource team. This team sets the pace for missions work throughout Europe and Canada. In November 2015 they relocated to the states to accommodate networking of churches as they resource teams and recruiting more members to their SERVEurope Resource Team. In July 2016 Stewart joined the Connect Team which has the vision statement: “Connecting churches to strategic global relationship to fulfill the Great Commission”. The last half of 2016 was really a transition time of coming up to speed with the Connect Team and handing off the leading of the SERVEurope Resource Team. It was a great hand-off finishing with the Clarity Workshop for our missionaries and Church Multiplication Institute in October in Bucharest and two spiritual development seminars in Spain in November. 2017 started off with co-facilitating the online course “Healthy Missions Partnerships” for five weeks in January and February. Stewart will continue with the Europe Division Leadership Team and be an advocate for Europe missions. Among the goals: Specifically working with 35 (missional) unengaged churches to bring them on board in healthy mission work; Intentionally engage with the Southeast District and regions of the Great Lakes District including being at their district conferences; Work with at least five churches to conduct “Crafting Your Mission Strategy” Seminars; Coordinate a vision trip in November for churches in the investigation stage of engaging in missions in Europe. The mission of Child Arise is to enable the poorest widows and orphans to rise above their circumstances by presenting the Gospel of Jesus Christ while providing relational, emotional and physical support. Child Arise Kenya Widows and Orphans Ministry is organized in response to Psalm 82:3, "Defend the cause of the weak and fatherless; maintain the rights of the poor and oppressed." Child Arise intends to assist widows, their children and orphans living in poverty in Kenya, through the power of the Lord, to rise above their circumstances. In the Bible, Luke 8:49-56, Jesus gives life to a little girl who died. He takes her by the hand and tells her, "Child, arise." Through Child Arise, Jesus is reaching out His hand to His children, saying, "Child Arise" and assisting them with prayer support, evangelism and discipleship training, Bible study, food, school uniforms, school supplies, school fees, clean water and medical attention they need to rise above their circumstances. In addition, Child Arise will endeavor to educate communities on changing their discriminatory attitudes towards widows. Child Arise shall follow the many examples Jesus gave us. After Onesimus & Elizabeth Mativo graduated with a 4 year degree from Ukamba Bible College, Kenya, & received a 2 year degree from Eldoret Missionary College, Kenya, Onesimus was ordained and they became missionaries with African Inland Church. The Mativos spent the next 27 years in remote areas of Kenya with unreached people groups, planting 14 churches, some of which were in Muslim areas where they risked their lives to share the Gospel of Jesus Christ. Some of the converts in the Muslim areas were attacked by their own families and communities. They would flee to the Mativos. The convert would be smuggled to Christians in Nairobi where they could be discipled and provided for. After those years of church planting, because of Pastor Mativo's failing health due lack of availability of a proper diet and medical care, the Mativos were relocated to the slums of Nairobi where they took over the discipling of the ex-Muslim converts to Christianity. When Pastor Mativo, unexpectedly died of a heart attack in August of 2008, Elizabeth was devastated. Not only had she lost her beloved husband of 39 years, but her life long mission work was no longer an option for her. Elizabeth now lives in their family home in Mbooni, Kenya, which was very hard for her after living away for 28 years on the mission field. She felt so depressed and lonely. She began to wonder if other widows felt like she did. She felt the Lord leading her to start a ministry to widows, their children and orphans. Before Pastor Mativo died, they had already started helping with food and school fees for 5 orphan children. 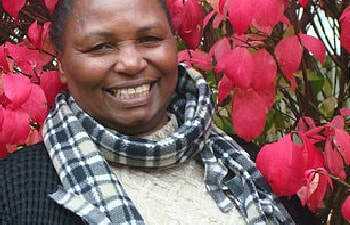 Elizabeth, with the permission of the local African Inland Church, started the ministry to care for orphans, widows and their children in Mbooni, Kenya. Child Arise Kenya Widows & Orphans Ministry.